Monash University Venues can assist you with your audio visual equipment. Our rooms are equipped with a range of presentation equipment including ceiling mounted data projectors with VGA and HDMI connectivity, integrated sound systems with lectern and microphones, video conferencing and teleconferencing facilities together with complimentary electronic whiteboards and wifi. Please advise this office at least 2 weeks prior to your event of your equipment requirements. For events using equipment in hi tech venues, you are required to contact this office to arrange for a rehearsal time with the technician. The technician must be satisfied your presenter is able to use the equipment. Please note, all University computers are programmed for an automatic restart at midnight each day. If you have installed software, files or other data on the PC in preparation for a presentation the following day, all such data will be lost and will have to be reinstalled on the presentation day. If you need to run a specialised application or software, it is strongly recommended that you use your own laptop with the application pre-installed. Please read the Information Technology Use Policy at http://www.policy.monash.edu/policy-bank/management/its/it-use-policy-staff-and-authorised.html. 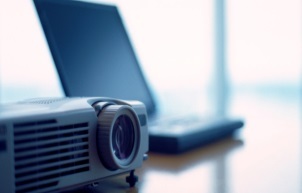 Requests for Audio Visual System Tuition, Support Assistance, Additional Audio Visual equipment or Portable Audio Visual equipment in Lecture theatres or Teaching spaces can be made online at: https://servicedeskonline.monash.edu/ or, telephone the eSolutions Service Desk on x51777. Requests to be Assigned to "AVCS Operations"